One of the most common feature in Mathare is the large amount of uncollected garbage in the community. Spatial Collective Ltd, has been gathering data on solid waste management with assistance of the community and groups engaged in handling of solid waste. Collection of data related to solid waste in urban areas especially in the informal settlement can be a complex affair. Garbage collection is big and territorial business in the informal settlements with some groups enjoying near monopoly in their zones. Groups engaged in this business are both registered and unregistered while we have people handling garbage collection as a private business. Spatial Collective Ltd, has been collecting data on solid waste from both residents and groups engaged in management of solid waste. Spatial Collective Ltd has managed to gather for the first time comprehensive data on solid waste management in Mathare Constituency. Change is the management of solid waste can be realized if the community, stakeholders and the Nairobi County government understand the situation. Spatial Collective Ltd has started a series of forums to share the data with the groups, community and other stakeholders. 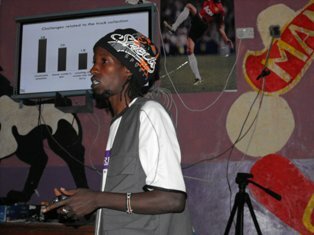 Today (16/72014) was the first such meeting and 37 groups from Mathare participated in the forum. Currently 43 groups from Mathare Constituency are involved. A platform to spearhead a clean community, “MTAA SAFI” been started, which will involves a multi-social media approach. 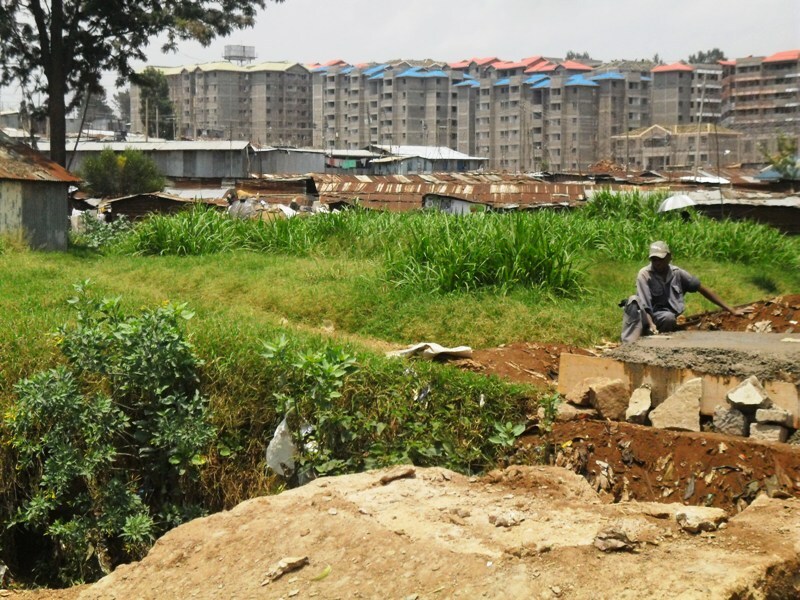 Nairobi is home to more than 100 informal settlements with little basic social amenities of low standards. The most ‘famous’ slum in Nairobi is Kibera. This is a place with many NGOs activities than schools. 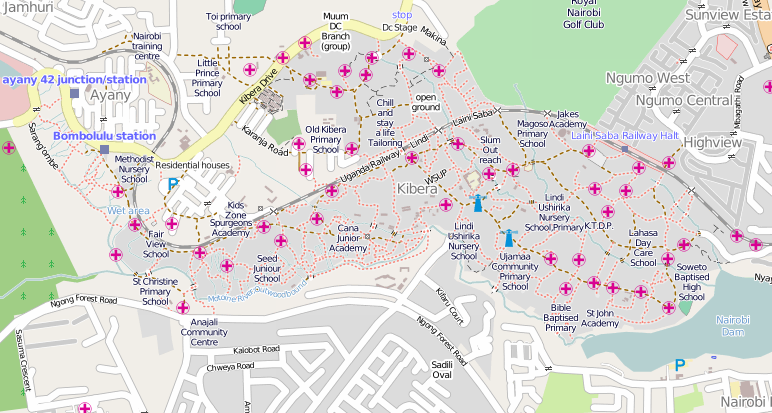 There is high presence of NGOs in Kebera plus the place being put on the world map courtesy of OpenStreet Map However the residents continue to live in usual conditions found in slums. However there is hope for Kibera unlike Mathare. If the Kibera slum upgrading is completed and the houses distributed fairly without corruption then we headed to good times. Slum Upgrading projects are better off if the development process is monitored by various stakeholders. Why Map Urban Informal Settlement? Informal settlements are generally ‘unrecognised’ in many urban settings. In years that have passed places like Mathare, Kibera and Mukuru were not visible on the net. With the advent of participatory mapping and Open Street Map platform, it became practical for communities that are hidden from rest of the world to be visible. Open Street Map has now become the alternative to showing what most governmens would not want highlighted due to ‘policies’. My experience of mapping Mathare was filled with anxious moments and too many questions by the village elders. Elders in 2010 looked at mapping as a way of demacating land and plot allocation and regulization. Upon mapping mapping Mathare; boundries and resource distribution in the community became evident and this was followed by meaningful discussions with how the community looks like and what is not there. Local leaders, NGOs and community based groups were not left behind. The map has been become a source of inspiration and motivation to proper community development. The disparities in allocation of resources by the politicians and local administration became evident and discussions ensued. The power of people mapping their communities can no longer be ignored as it brings out the true picture of the community. Creating good a conducive environment for all to enjoy is the most challenging aspect in slum like Mathare. There are always huge piles of uncollected solid waste, broken sewers, use, noise pollution, limited space for children to exercise their right to play, lack of social amenities for the youth, no social halls or club house for elderly to meet and discussion about their own issues. Despite all these, people still live and survive against all odds. The limited space available is shared amongst different groups. Like Huruma Sports Ground host various Christian crusades but it has produced some good and international soccer players while at the same provides bulk of players for street soccer in the Kenyan team. 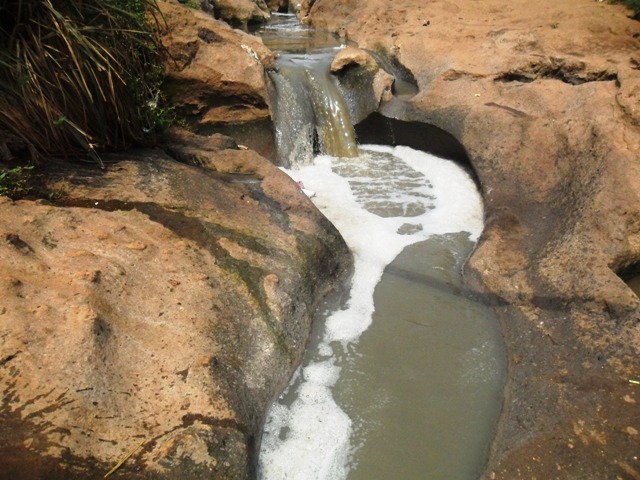 On the other hand Mathare river host various socioeconomic activities despite high levels of pollutions. Various youth groups have managed to reclaim riparian land along the river and started urban farming activities. The good thing abour urban farming is that the youth do not use polluted river for irrigation.